The latest news and images from the workshop. Profiling the latest projects and discussing themes on design, resources and techniques. Make sure you don't miss the chance to pick up the first piece from Petrel Furniture. You still have time to dig out that tape measure and size up a suitable spot. Bidding closes tomorrow at 7pm GMT, the highest last posted bid will win. 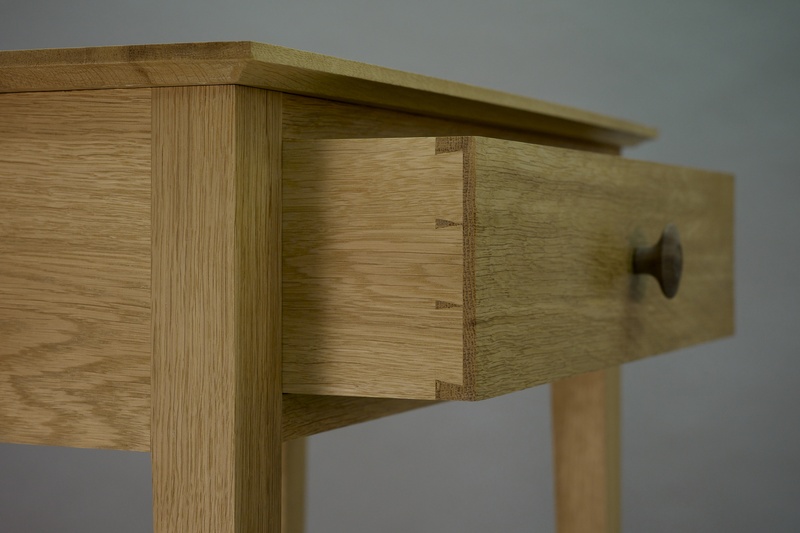 Here's a close up of some fine dovetails; oh look what you could be missing. Petrel furniture are design-makers of exceptional, bespoke furniture. We use British woods and traditional hand skills and techniques.